Roger Roman, owner of Roman’s Driving Academy LLC, has been a State Certified Driver Education Instructor in Central New York since 1980 (Cato-Meridian H.S., Jordan-Elbridge H.S.). 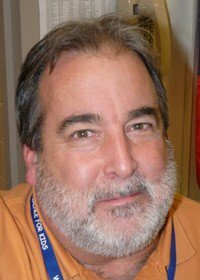 A retired Social Studies Instructor throughout most of his teaching career, Mr. Roman has also coached high school athletics and was inducted into the Jordan-Elbridge High School Coaching Hall of Fame in 2014. Mr. Roman teaches driving in much the same way as he coaches, with a relaxed but confident approach. Students feel comfortable while they learn new life skills. Mr. Roman relishes the chance to work with new students who’ll be treated as if they were one of his own. Learning to drive with ‘Coach’ Roman at Roman’s Driving Academy, students will not only be taught the skills necessary to pass the Road Test, but also advanced techniques in defensive driving and hazard recognition. Safety is our number one goal.